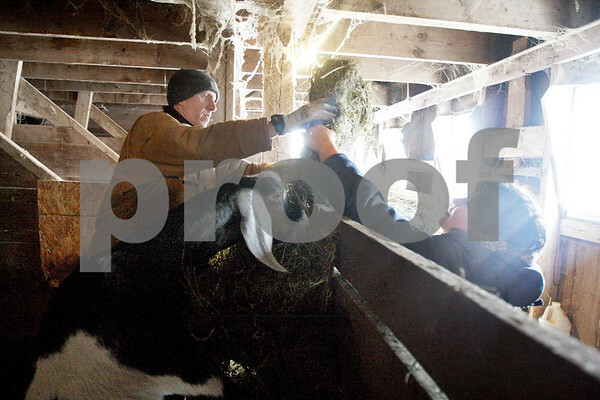 Sarah Flower hands her husband, Bryan Flower, some hay to feed their goats on their Red House Farm in Lee on Saturday, January 31, 2015. They grow the hay on their 12-acre farm to sustain the the goats and cows they raise for milk, and get fresh eggs from their hens. "We like to know where our food comes from," Flower said.